This of course needs to be polished further in the final game (checkout those awesome fonts!) but is perfectly functional for prototyping. Combat is actually playable now, but I want to implement a bit more of the game before publishing a public prototype. Finished first draft of 2nd Edition! Not a ton to blog about this month; I’ve been working on the second edition of Unity in Action mostly. I have hit an important milestone; I’ve finished the entire first draft! That is, all 13 chapters (12 from the first edition, plus the one new one) are updated and sent to my editors. The first 6 chapters have been through one editing pass already actually, and are already available for early access; Manning has a system for readers to get access to unfinished ebooks before the print book is ready. Besides working on my book, I’ve also been gathering assets for my first-person RPG. Bought a bunch off Unity’s Asset Store, found a bunch of free music, and currently contemplating where to get the rest. So as described in my last post, lately I’ve mostly been working on the second edition of my book. 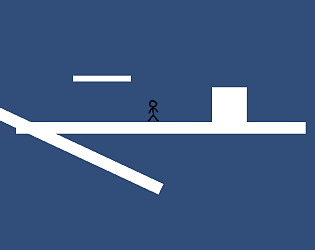 In particular, the one new chapter, about developing a 2D platformer in Unity, is done. Very soon (probably in just two days) it’ll be available through MEAP; my publisher, Manning, does early access while the books are being written. Besides that though, I’ve been planning to resume developing my own game after the book is finished. Up until a couple weeks ago I had been assuming I would resume working on the strategy game. However, I’ve been gripped by a new idea lately and will probably start developing that instead. I feel bad about abandoning the strategy game because it’s pretty interesting, and will probably pick it up again in the future, but for now the new idea I’ve had has a number of advantages. Doing the 2nd edition of Unity in Action mostly involves updating code listings for the latest version of Unity, but my editors and I also decided to add one new chapter. While the majority of feedback from readers has been (thankfully!) very positive, one thing we’ve frequently seen is people wishing there was more content about 2D games. Thus, we decided to add a chapter about developing 2D platform games. to receive updates about projects I'm working on!